Contract & Change Management – AAA Partnership Pvt. 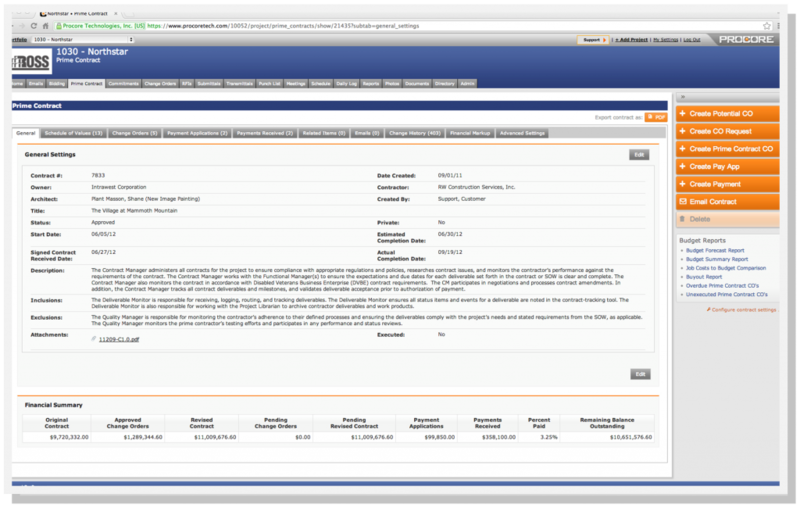 Ltd.
Procore construction management software allows change orders to be distributed and approved via email, on any email device. Get key approvals faster, so that your projects don't get held up. With Procore construction software, your project team members will have the information they need to do their jobs. They'll see real-time approval status of the change orders relating to their tasks. Every change order request and change order is automatically dated and time-stamped by Procore upon creation. Overdue change orders can be set to send out email notification, so nothing slips through the cracks. Keep your team up-to-date on the latest invoice and payment status for every change order. Track invoice dates, as well as full and partial payment status.